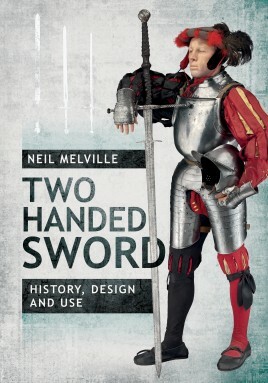 Neil H T Melville cannot remember a time when he was not fascinated by arms and armour and they have become a lifetime interest. This books is the culmination of many years’ research, in the course of which he has visited most of the major arms collections in Europe.He holds degrees from the universities of St Andrews (Classics) and Strathclyde (Italian) and taught Latin, Greek and Ancient History in state schools in Scotland before retiring to concentrate on the study of arms and armour from the time of ancient Greece to the 19th century, but especially the Middle Ages.Practising what he studies, he is a keen fencer (though with a foil and sabre rather than a two-handed sword!). He is also a long-serving member The Earl of Loudoun's Regiment which re-enacts campaigns of the Civil War and the Jacobite Risings. He has also represented Scotland at skiing. He lives in Stirling Scotland.